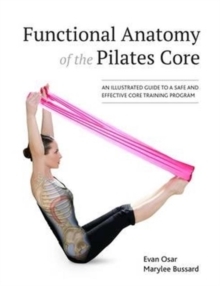 The first book to comprehensively discuss the function of the psoas in posture, movement, and exercise, The Psoas Solution identifies the functional anatomy, biomechanics, and motor control of the psoas and its role in core and hip stabilization. Abundantly illustrated with full-colour images throughout, this book also provides most complete review on the relevant research on the psoas available. 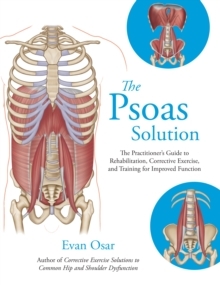 Integrating this research with clinical experience, Evan Osar identifies the psoas's role on the hip, pelvis, and low back and demonstrates how to incorporate the psoas into functional movement patterns including squatting, lunging, and bending. The Psoas Solution includes corrective and functional exercise progressions for integrating the psoas into daily activities such as standing and sitting. 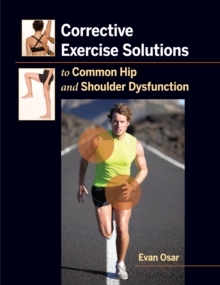 Health and fitness professionals will find this a valuable resource full of applicable strategies and exercises to incorporate into their current rehabilitation and training programs.